The current chapter 125 is a repost of a sidestory from 2013. FINALLY regular updates… go Sense Scans! Why is this labeled “Mature”? I understand that tagging is not a content rating system, but a “Mature” tag suggests extreme violence, censoredographic scenes, or both to me. 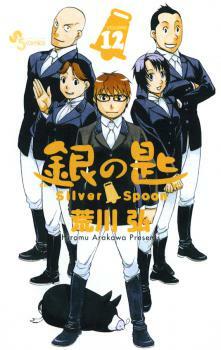 Silver Spoon contains neither. You seems a little too much disappointed in that. Well, extreme violence towards animals, death and dismemberment may be considered too much for some people.